How to Choose a Baby Crib Mattress? The Best Baby Crib Mattress Buying Guide written exclusively by me tells you ‘How to Buy a Crib Mattress‘.You should know all these important tips before you purchase one so that you can get the best crib mattress for your baby. 1. You got a Baby ? 8. Where to Purchase ? So You’re Having A Baby? Having a baby is one of the most remarkable moments a person will experience in their life. This tiny person will become an extension of yourself that lives on the outside of you from now on. From the moment they are born, from the moment they leave your house, you are going to want to do everything possible to give them the best life possible. It will astound you how much detail you pay for every little thing when it comes to your baby. You want to always ensure that they are happy, healthy, and safe. There are many varying opinions when it comes to things that concern your baby. Breastfeed or bottle feed? Cloth diaper or regular diaper? These are the types of things that cause dispute. There is one thing that does not cause much dispute, and that is choosing the best crib mattress for your baby. This is because all parents across the country can agree that they want their baby to be kept in the safest sleeping environment as possible. There are so many different options out there when it comes to mattresses. Hard mattress? Soft mattress? Springy mattress? Organic mattress? It can be very overwhelming for first-time moms and dads. That’s why I am here to tell you everything that you need to know about buying a mattress for the first time. There were things that I wish people would have told me when I had my son, but they didn’t. Now, that my little baby is a toddler and out of his crib mattress, I can look back and say that I was 100% satisfied with the decision that I made. When Should I Purchase My Crib Mattress? This was the very first question that I asked myself when I began looking at things to put on my registry. I knew I wanted to get it early enough that I could set it up and not have to worry about it. After all, the crib is in a way the main centerpiece of a babies nursery. One of the very first questions that I as a new mom was when do I purchase my crib mattress? Should I put it on my registry and have someone else buy it for the baby shower? Should I head to the store to pick it out myself? There’s no right answer to this question, except for one. You should always purchase the crib mattress with the crib. Sometimes, if you find a set you like then that’s the ideal way to go. That’s because the company that makes the crib and mattress took out the guesswork for you. They have paired what they know will go well together. Sometimes, you don’t get that lucky, or maybe you don’t want to go that route, and you want to buy separately. It’s personal preference. The one thing you want to make sure to do is fit the mattress in the crib and make sure that it’s nice and snug in there. You don’t want to have a mattress that’s too small and that’s going to leave gaps on the sides between the frame and the mattress. This is dangerous for the baby. Babies can scoot and roll in their crib, and the last thing you want is for them to get stuck in one of these large cracks. It can be deadly. On the other hand, you don’t want a mattress that’s too big and doesn’t fit nicely in the bottom. That too is not comfortable, and it’s not safe. If someone else is going to purchase the crib and mattress for you, it’s something that you will want to come along for. This is because there are a variety of different kinds, and you should purchase the one that you feel comfortable with. After all, you will never leave your baby alone except for one time. That is when your baby is sleeping. Therefore your crib mattress is almost like a babysitter. You wouldn’t trust your baby with just anyone, so don’t trust your baby with just any type of mattress. You Mean There’s More Than One Kind Of Mattress? There are! As long as you are buying a mattress that you feel comfortable with, and know is safe, then it doesn’t matter which type you choose. It’s all personal preference. You, of course, want a crib mattress that’s going to be comfortable for your baby! A lot of parents have a hard time trying to transition their baby to a crib. It happens because they’ve been doing co-sleeping, sleeping in pack N’ plays, or rock n’ plays. When the time is ready for the babe to move to their crib, you want to make sure that the mattress is comfortable for them. Having a comfortable mattress ensures that they are more likely to sleep for longer periods of time because they are comfortable and cozy. An uncomfortable mattress means an uncomfortable baby which means less sleep for the new parents! The crib mattresses that are for sale at certified baby retailers will be the safest choices because they have been tested and have been proven to be a safe bet. Now, there are two different basic kinds of mattresses. 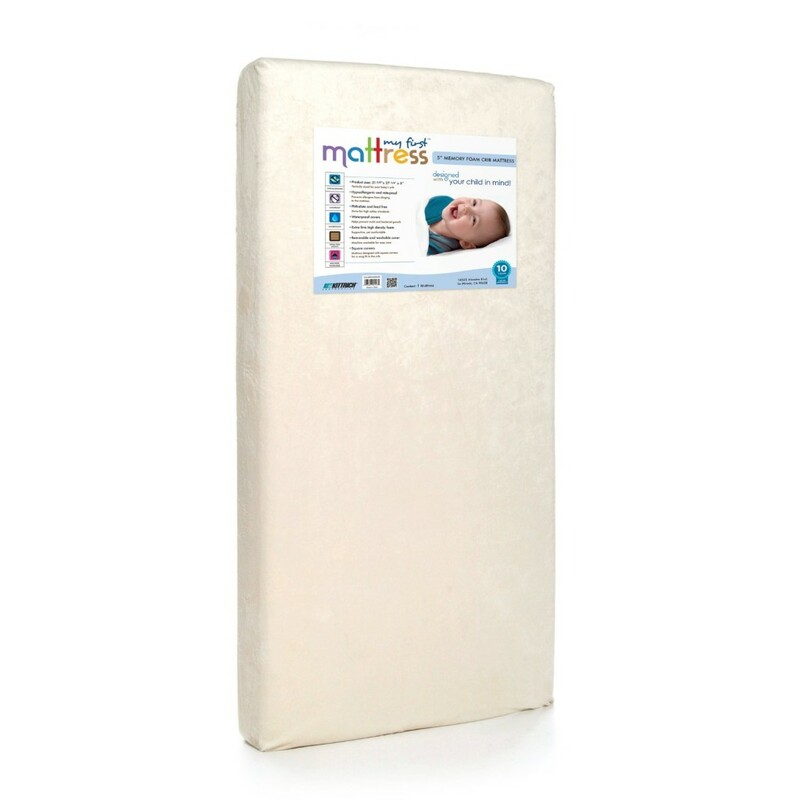 The foam mattress is one of the least inexpensive and most popular options which makes it a common buy for parents! 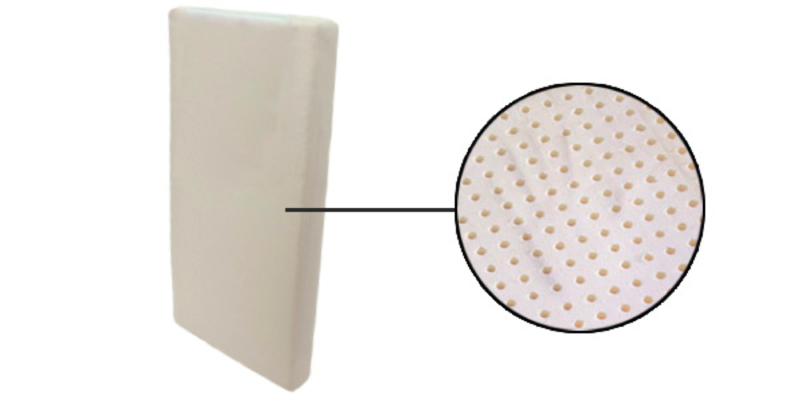 The foam mattresses come in a variety of thickness. They range from anywhere between 3 and 6 inches. You want to choose the mattress that you think will provide the best support, comfort, and safety for your baby. The thickness isn’t as important as the density of the crib mattress. The higher the density of a crib mattress, the better it is. When purchasing a foam mattress, a good test is to do is the handprint test. You’ll want to push down on the mattress and see how long it takes for the mattress to regain its shape after making an imprint. You will want something that will bounce back to the original shape faster. As your baby grows, he will weigh more and it will make imprints on the mattress. You’ll want to choose one that won’t match the shape of your baby. This will make it harder for your baby to roll around and get comfortable as they tend to do when they’re older. You don’t want a mattress that’s going to create craters. Therefore, if purchasing a newborn memory foam mattress – that is something to keep an eye out for. You also want a mattress with consistency throughout. A comfortable mattress will make for a baby that’s not tossing, turning, and whimpering throughout the night. I personally found that a baby memory foam mattress was the best fit for my little one. It was the first time that he slept through the night. When shopping around for the best mattress, I suggest asking family and friends that have babies for their recommendations! They’ll have first-hand experience for what works best. Keep in mind that all babies are different, but they will still be able to offer some pointers about the best mattress. Reading reviews of a product online can also be helpful. You can compare and contrast reviews to see what others agreed and disagreed on when it comes to a mattress. The second most popular type of mattresses are the ones that are innerspring. These generally are a bit pricier because they are more durable. 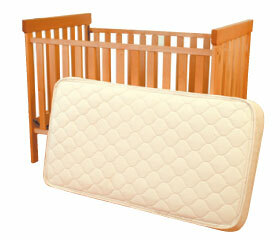 This one provides firm support which means your baby will be comfortable yet very well supported in his or her crib. One thing to remember with these is that some of them get heavier, especially when compared to foam mattresses. The heaviness is something to keep in mind because you will have to move this mattress to clean it every once in a while. Another very important thing to keep in mind is that mattress will most likely be very firm. Some babies like the firmness, and it might take yours a little getting used to. But, it’s important to remember that this mattress is very safe, and that’s what is key. Some parents feel better when they purchase organic products. A lot of new moms and dads don’t even know that the option is out there to purchase an organic mattress. 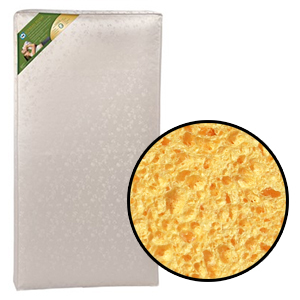 An organic mattress can be either innerspring or foam. These mattresses are the priciest of all, as like all things organic. Why do people purchase the organic mattresses? Parents choose mattresses made of all-natural material because they don’t include chemicals and compounds that other ones include. Although the other mattresses are certified safe, these parents feel much safer about having their baby sleep on an organic mattress. It’s no secret that a baby can get a little gross at times. They are known for spitting up, peeing, and sometimes, unfortunately, having explosive poop. Anyone of these can get all over the mattress. This is why choosing a mattress that comes with a removable cover is key. I have found that it has been a lifesaver to just unzip the mattress cover, and toss it in the washing machine. It’s happened too many times to even imagine what it would have been like to not have it. I would have had to scrub the mattress itself which would have taken way too much time. Parents don’t have a lot of free time when they have a baby. That’s why being able to unzip a mattress cover, wash it, and go is a wonderful thing. Even if a baby doesn’t have an accident on the mattress cover, it’s still important to periodically clean it. Can I Buy A Mattress Second Hand? It’s not recommended, but it is ultimately the parent’s decisions. Sometimes parents can’t afford something brand new. They turn to friends, and family that had a baby and have a mattress they can use. If doing this, it’s important to make sure that the mattress is thoroughly cleaned and sanitized before allowing your baby to sleep on it. It is not recommended that people buy mattresses second hand through rummage sales, or used thrift stores. This is because there has been some research that has linked used mattresses to an increased risk of SIDS. Also when purchasing a mattress secondhand you just never know who’s baby was on it before. It could have been one that was sick a lot or had a different type of disease. Babies get all sorts of bodily fluid onto mattresses, and if you are purchasing a used one you increase the risk of transferring those along to your baby. When purchasing a used mattress from someone you don’t know, you also aren’t sure if the mattress is clean or was safe, to begin with. When someone is done with a mattress they usually store it someplace that isn’t the cleanest and can also get kind of damp. I’m talking about places such as a garage or a basement. These places allow the fungus to grow which would not be safe at all for use again! Again, parents need to feel comfortable with their choice. The best peace of mind will come from buying a new mattress that is known to be safe. 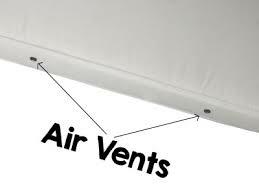 When purchasing a mattress, whether it’s innerspring or foam, it’s important to make sure that there are small vent holes on either side of the mattress. These will be a lifesaver. The vent holes allow odors to escape. This is particularly important because like mentioned before, babies can have accidents such as a leaky diaper. 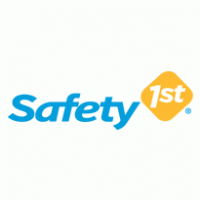 Crib mattresses that are available for sale online or in stores must meet safety standards. These are defined by the CPSC and the American Society for Testing and Materials. It’s comforting to know that these places specialize in crib mattress testing, and will ensure that your baby is going to have a mattress that will give them a safe sleep. Mattresses have to meet federal flammability standards as well. They are also hypoallergenic, and mite-proof. When mattresses were designed, they were designed to fight against all of these problems and keep your baby safe. I’ve always found it comforting to know that mattresses have to undergo so many different tests, and pass so many different inspections. Sure, it may seem like a lot but they are really protecting against the elements and ensuring safety. SIDS research has come along way. 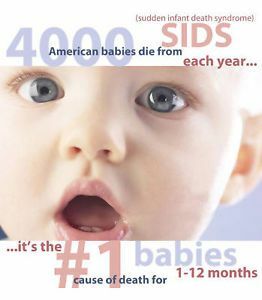 Doctors and researchers have narrowed it down and have found direct relations between certain factors that could cause SIDS. It’s different for every baby, but there are some things to keep in mind. When a baby is undergoing critical development and sleeps on his or her belly or on a soft sleeping surface it can reduce the risk of SIDS. That is why mattresses that meet the CPSC recommendations are what is best for the baby! A baby is kept safe in a crib because the mattress is firm enough to meet safety standards, but still comfortable enough that it allows for a restful nights sleep. You cannot just put your baby on any mattress and assume it will do the same job. 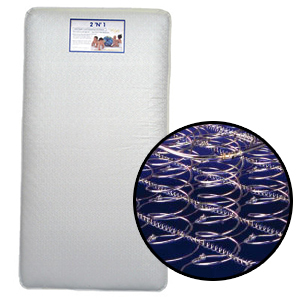 Other mattresses can be too squishy which can lead to a suffocation hazard. When purchasing a crib and mattress, you will find that it’s a huge investment. It actually might be one of the most expensive things you purchase for your baby, if not the most expensive. That’s why sometimes parents decide to purchase a crib and mattress set that will grow with their baby. There are cribs you can purchase that have the option of turning into a toddler bed. This means you won’t have to buy a new bed or mattress. Also, make sure you get one of the best cribs for safety before you buy a crib mattress. 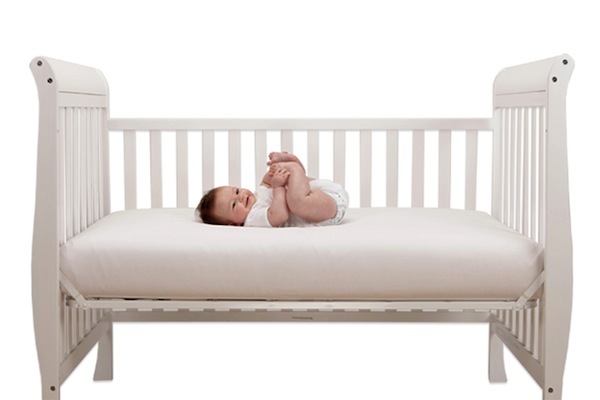 The mattress is designed to fit the crib as it transitions to the next step. How long your mattress last depends not only on the brand of it, but also how much care you put into it. That’s why I want to discuss a few important tips for getting the most life out of your baby’s mattress. To get the most life out of your mattress for the longest period of time, there is some important things to keep in mind. First, flip the mattress often. This will prevent too many germs and bacteria from collecting on one side of it. Bacteria, germs, etc can be especially dangerous for a newborn baby. The next tip is to invest in sheet protectors. These will prevent leakage getting to the mattress. Another great idea is to check the manufacturer’s website to see if there is a warranty. Warranties are typically good for a year or two. If you purchase a more expensive mattress, you will probably find that the warranty extends for several years. If you have that and your mattress goes bad, you might qualify for a replacement! That’s an especially good idea if your baby is used to the mattress it’s been sleeping on. Switching things up and trying a new mattress might stress out the baby and cause a disruption in their sleeping patterns. Finally, if your baby is done using the mattress and has grown into a bigger bed and mattress, you might be able to save the old one for a new baby! To do this you want to make sure that the mattress is completely and thoroughly cleaned before putting it away. Once that is done, you are going to want to store the mattress in a clean and dry place. Sealy is a very reputed brand that is owned by Temper Sealy International Inc. They are one of the largest bedding providers.Their top selling crib mattress series are Sealy and Sealy Posturepedic. 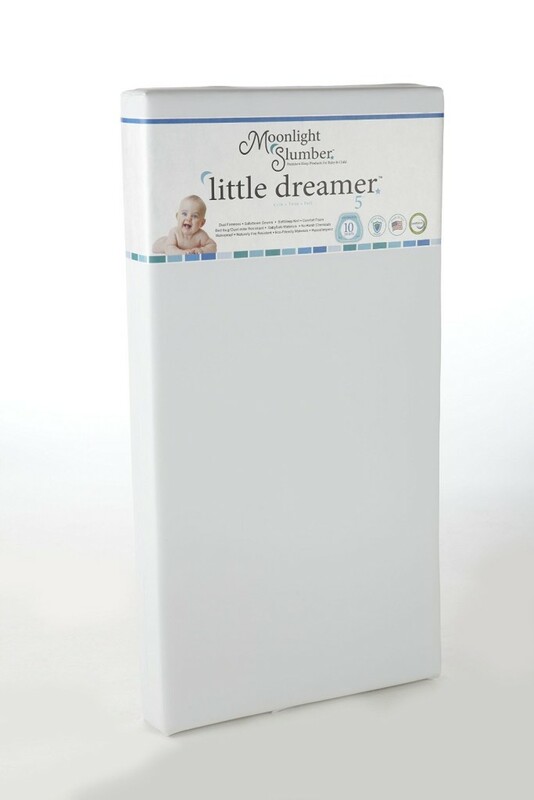 Moonlight Slumber is a premium manufacturer of all kinds baby bedding products.They are also focussing more on child safety and makes both organic and natural baby crib mattresses.This is the most tested mattresses in the United States.Official website. 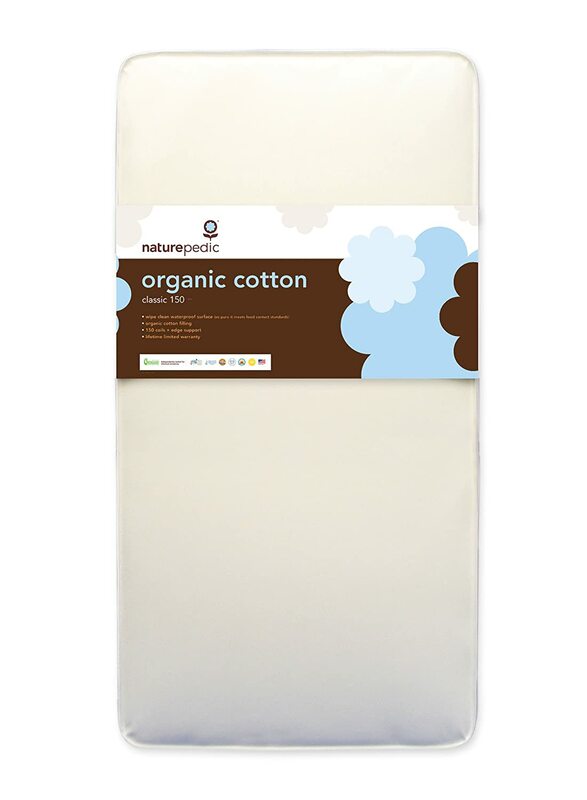 Naturepedic is very famous for their expertise in creating 100% pure organic crib mattresses.They produce expensive crib mattresses but are known to provide completely safety to your child.They produce only non-toxic crib mattresses.official website. Colgate is a leading manufacturer of baby crib mattresses and is based in the USA.They are a 60-year-old company and is a family-owned business. They believe people are more important than their profits.official website. Simmons Kids is over 80 years old since they started manufacturing baby crib mattresses.They make crib mattresses that nobody else can make.They are known for their high-quality baby mattresses products.official website. 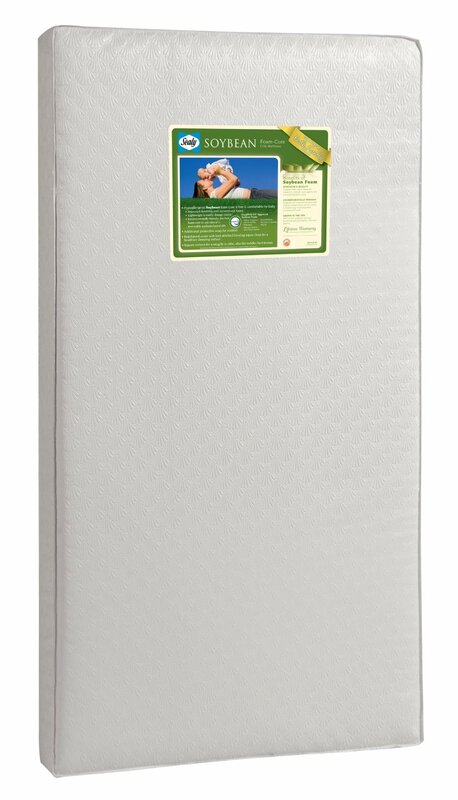 Overall, it’s the mom, dad, or legal guardians choice when it comes to purchasing a crib mattress. The newborn can’t speak so the parents are the voice when it comes to buying the mattress! Above all else, safety is key. I can tell you first hand that you won’t get any sleep until you know that your baby is in a safe sleep environment. It’s the only time you will leave your baby unsupervised, so you want to take every single precaution there is. This includes making sure that there are no spaces between the crib and the mattress, and ensuring that the mattress is firm enough. After safety is taken care of, the rest is secondary. Parents can then choose the style, the color, the brand, the type, and so much! These are all just a few things to keep in mind. Above all, crib mattress shopping doesn’t have to be stressful. It can actually be quite fun to think that this is the place where my precious baby will rest its weary eyes. 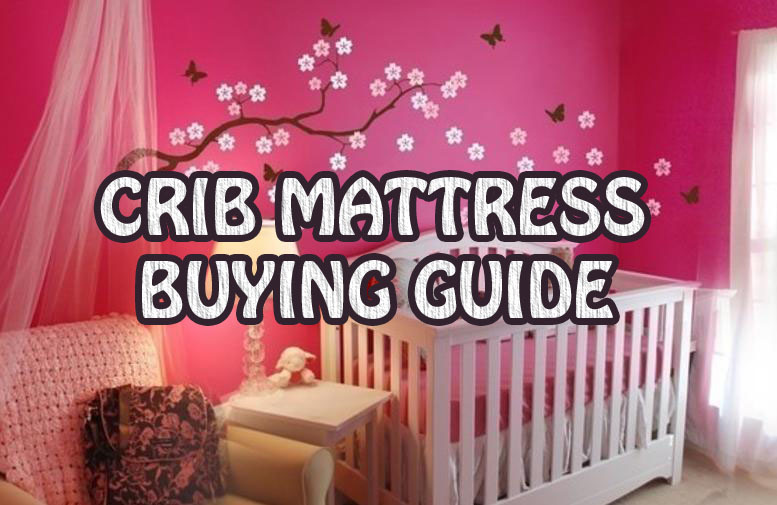 I hope you got all the necessary information by reading my ‘How to Buy a Crib Mattress’ guide. 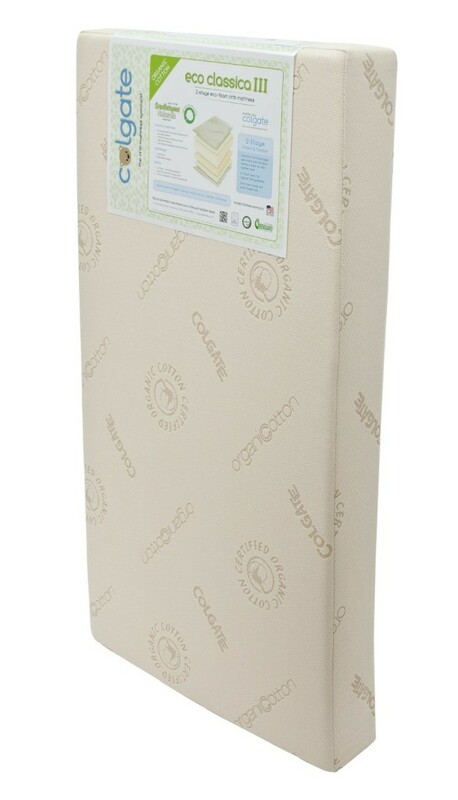 Now it’s time for you to buy a great crib mattress for your baby.